It all started way back in 1977 when I made a chance remark to my Grandmother. I had been showing a keen interest in my Grandfather’s cider-making equipment which lay dormant at Stonehouse Farm in Kenn, North Somerset and mentioned that one day I would love to have a go at making some cider. My Grandfather – Victor Emmanuel Naish – had been producing traditional farmhouse cider since the 1930s and continued to do so until his death in the mid 1960s. That really was the start of it. With the help of some friends we restored the old hand press & mill and got the Lister 5 horsepower engine – used to drive the mill – going again. As a matter of interest, the Lister engine had shrapnel damage to the petrol tank thanks to a German bomb being dropped in close proximity during World War II. After getting the equipment up and running, we would collect apples by hand in the day then mill and press them in the evening. 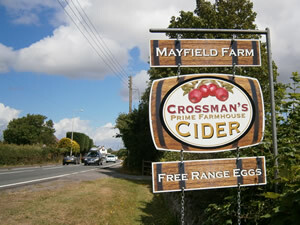 We then had to transport the juice from Stonehouse Farm back to Mayfield Farm in Hewish – more than 7 miles – for fermentation and blending etc. 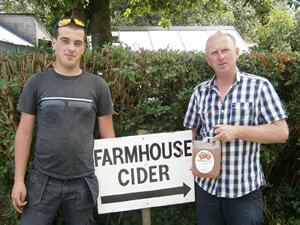 As the business grew, it was very clear that the cider making operation had to be moved. 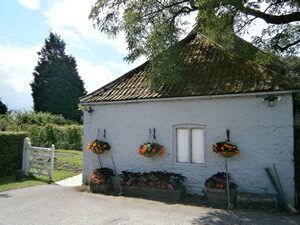 A “Beares” hydraulic press was soon purchased from “Hills of Staverton” in Devon and was installed in a shed at Mayfield Farm where it still works to this day. When the cider is ready for sale it is stored in oak barrels housed in a rustic stone storehouse with a thatched roof on the side of the farm. 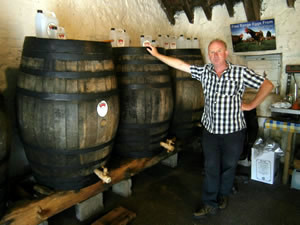 Some of the barrels are between 80 and 100 years old. 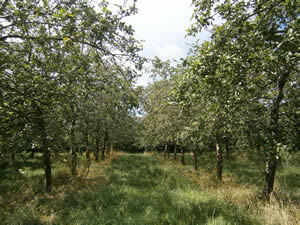 The Farm has 2 main orchards – a standard orchard which was replanted in the late 1960′s containing varieties such as Chisel Jersey, Sweet Coppin, Somerset Redstreak, Yarlington Mill, Dabinett, Michelin & Brown Snout and a 400 tree bush orchard planted in 1987 with varieties such as Harry Masters Jersey, Improved Dove, Tremlett’s Bitter, Stembridge Jersey, Sweet Coppin & Dabinett. 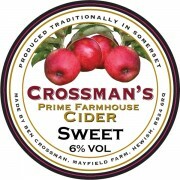 More than 36 years after that conversation with my Grandmother, Crossman’s Cider has grown from strength to strength and I’m proud to continue in my Grandfather’s footsteps of producing good, clean, traditional farmhouse ciders.